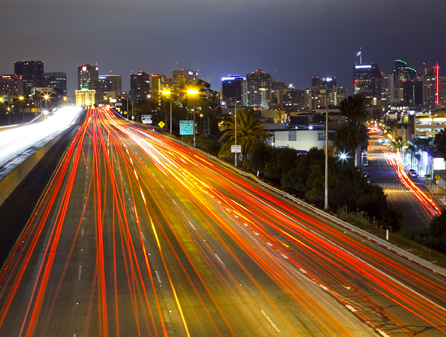 Automobile accidents are undeniably common on Southern California’s roads and freeways. Many drivers have been involved in a fender bender at one time or another. However, when a collision results in serious injuries, victims must deal with much more than an annoying inconvenience—obtaining necessary medical treatment, missing work, living with pain, and experiencing anxiety behind the wheel can all change the course of a person’s life. Our San Diego personal injury attorneys help automobile accident injury victims secure fair compensation for these types of damages and more. For the many people who have never been involved in a serious automobile accident, insurance companies will downplay the seriousness and consequences of the collision. You need a lawyer on your side who understands what you’re going through and who will fight for your recovery. According to a 2017 report, more people die from automobile accidents in San Diego than are murdered. From 2012 to 2016, the San Diego Police Department counted 260 traffic deaths on city streets, and 206 murders over the same period. If you add in the number of people who die on San Diego freeways, which are governed by The State of California Department of Transportation, there were more than twice as many traffic deaths as there were murders. One San Diego Police Department officer said the numbers should not be that surprising when you consider the numerous factors contributing to automobile accident deaths, such as texting while driving and driving under the influence of drugs or alcohol. Relatively few people in San Diego County carry guns, but all of us drive cars. Generally, insurance companies pursue every strategy to pay as little as possible on automobile accident injury claims. An experienced automobile accident lawyer will ensure the right financial value is placed on your situation, looking at the total affect of the accident on your well-being. In California, you can receive compensation for medical expenses, lost wages, pain and suffering, physical impairment, inconvenience, and more. An insurance company representative will not tell you this, but your attorney will—and will fight for you to receive every penny available to you. In California, you can receive compensation for medical expenses, lost wages, pain and suffering, physical impairment, inconvenience, and more. An insurance company representative will not tell you this, but a trusted attorney will—and will fight for you to receive every penny available to you. We look forward to hearing from you: (619) 230-0330. It’s simply unacceptable to consider automobile accidents an unavoidable part of modern life in Southern California. With this attitude, the number of serious and fatal auto accidents will only keep going up. By holding at-fault drivers accountable for their actions and fighting the insurance companies for fair compensation, we can make a difference. If you or a loved one has been injured in an automobile accident in the San Diego area, please contact Banker’s Hill Law Firm, A.P.C. You’ll get the strong legal representation you need to assert your rights and interests after an automobile accident.